Deepa & Rupa: A Fairy Tale From India, India's first animation mixed with live action is to be publicly screened at University of Utah, Salt Lake City, where its creator Manick Sorcar is invited to be a guest speaker. The formal invitation came from the Department of Languages and Literature of the university, and it is scheduled to take place on April 7, 2014. 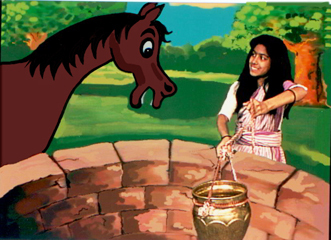 Two scenes from "Deepa and Rupa": (Left) Rupa picks up water from the well for a thirsty Mr. Horse. (Right) "Is this good enough Mr. Banyan?" asks Rupa, after she sweeps the ground at his request. 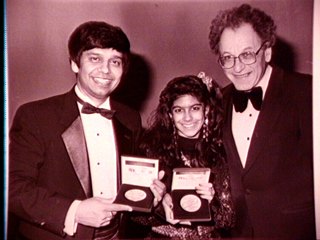 Deepa and Rupa: A Fairy Tale from India (created in 1990) was Sorcar’s first full-length video production during an era when computer animation was still at its early stage. What started off as a venture to teach his two US-born daughters about their Indian heritage turned into a colorful, dazzling animation skillfully weaved with live action for the children of the world to enjoy. The attempt to close the cultural gap at home, became a cultural bridge between East and West. Since its premiere on September 13, 1990 at the Rocky Mountain PBS station of Denver, it has been shown in many parts of the world including Great Britain, Canada, and India, where it was nationally telecast by Doordarshan. 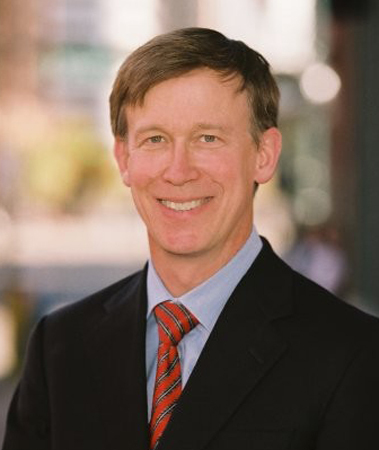 It received a host of awards at international film festivals including the Gold Plaque at Chicago International film festival; a Golden Eagle from CINE, Washington, DC; the Silver and Bronze medals at New York Festivals and nomination for three Heartland Regional Emmy Awards, to name a few. The press and media showered with rave reviews, and it became a popular multicultural video at elementary schools. At the PBS station of Denver, in 2014 this will be the 25th year in a row where this and other animation of Sorcar will be telecast in the Holiday Season. The low-budget film utilized the talents of family members and friends at no compromise in the quality of production. Sorcar put endless hours to prepare the story board, draw many of the cells in traditional manner and marry them with computer generated frames for animation. The shooting took place at a local professional studio. The labor of love of three years ultimately came to a fruition and became an all time classic. "Television is not always the sterile, corporate, slick medium we love to knock. Occasionally, a home-grown, family project slips through and humanizes the machine...Deepa & Rupa is one such production..."
"... Comparing Sorcar's results with tape and computer to those more traditional animations seen on Saturday mornings, he just about could be Hanna-Barbera".
" A fairy tale ending for Golden producer...Deepa & Rupa: A Fairy Tale from India received the Gold Plaque at the 26th Annual Chicago International Film and TV Festival in the Children's Television Program category. The video also has won a Silver and a Bronze Medal at the 33rd Annual International Film and TV Festival of New York. In a head-to-head competition, it topped the Children's Workshop's Sesame Street and Hanna Barbera's The Greatest Adventure at the latter event". "Your marvelous combination of animation and live action certainly matches the best quality productions shown on either commercial or public television in this country. When your original music and lovely costumes are added, the result is a very creative and entertaining program for children and parents alike". "This film is a very positive reflection on Indian philosophy and would be a rich addition to a school district's multicultural resource library"
"The Link", Indo-Canadian Community newspaper gave rave reviews of the film. Recognizing its creator was the son of the legendary magician P. C. Sorcar, it wrote "The son of a legendary figure continues to spread stardust in a hi-tech manner". "Anandolok" magazine of the Aanandabazar Patrika group, India, wrote, "It's specialty is in the unique mix of hand-drawn scenes and animated characters flawlessly with the action of the live-actors...there is no doubt, this is the first of its kind ever produced in Indian history"
The Video Rating Guide for Libraries (Vol. 3, NO.1) of the USA gave it a Four Star rating ("Excellent"), and the KCET Magazine of the Public Television for Southern and Central California printed a color picture of the show and called it a "Charming fairy tale from India". "It is a tribute to Manick Sorcar, whose animation for the last two decades has both entertained and educated us about India, her culture, her people - all together, a true cultural bridge between East and West, which has made Denver, the United States and India proud".